Step1. Smartform uses SFSY structure for some default values. Step2. Go to Tx- SMARTFORMS and create a smartform and go to Global Definitions. Step3. Declare a variable as shown. Step4. Go to the page and right click and create a Window with the shown navigation. Step5. Teh below screen appears. Now we have to change some default values. Step6. Change the window name, meaning and window type – choose copy window. With the Form painter position the Copy Window at proper place. Step7. Go to output options tab. Provide a shading for a better look. Step8. Now we are done with the copy window creation and positioning on the smartform page. 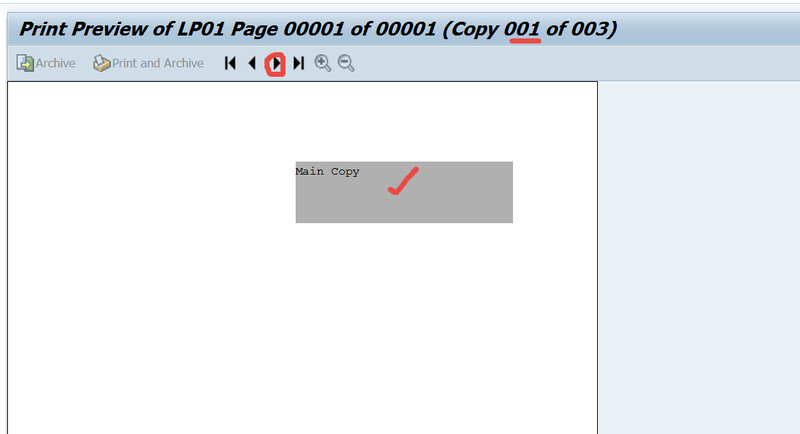 Now right click on the copy window and from the shown navigation, create program lines. Step9. The below screen appears. Step10. Provide the below code and output parameter as TEXT. Step11. Now right click on the copy window and create a text. Step12. Drag the TEXT node down . Step13. The Text node should appear below of the %CODE1. Step14. 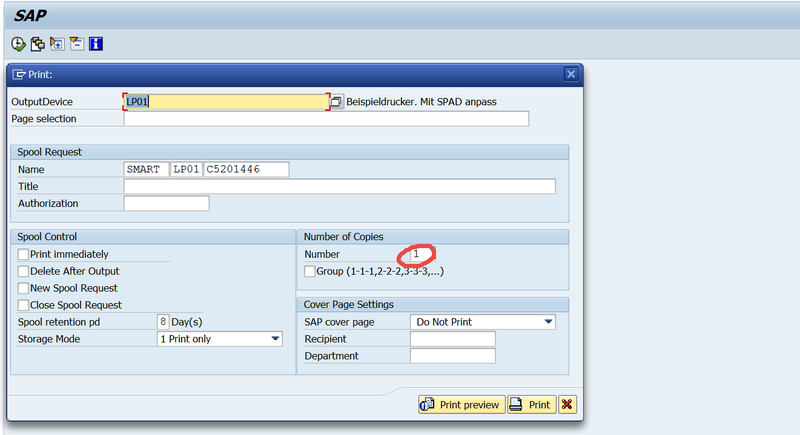 Click on the + button and provide the variable as &TEXT& as placeholder and continue. Step15. Activate the smartform and test it. Step18. In the below screen number of copies as 1. Step19. 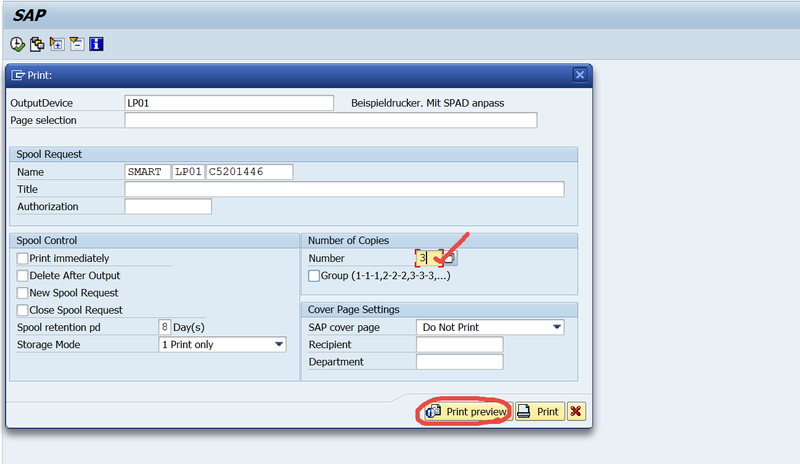 Change the number of copies to 3 and print preview. Step20. First copy with the output in the copy window. Click on the Right arrow button. Step21. Here we have the second copy with the copy window output. Click on the right arrow button. Step22. So here we have the output on the copy window.